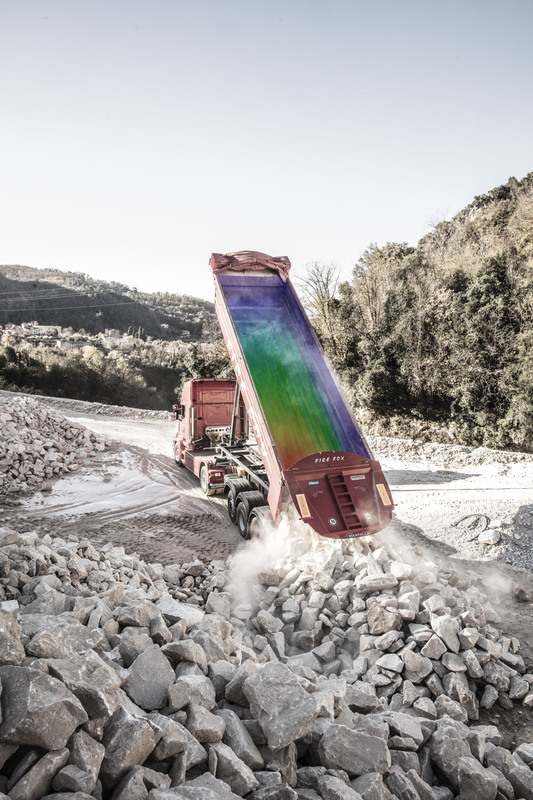 Mantella revolutionized the design of its innovative Stratosphere tipper trailer by implementing major design advances in the use of high-strength steel. 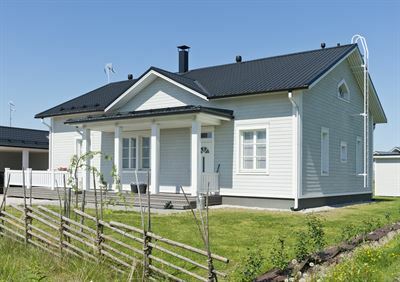 The company has taken full advantage of the latest high-tech materials developed and produced by the Nordic steel manufacturer SSAB: Hardox® 500 Tuf and Strenx® 960. Mantella S.r.l. is a family business located in Lamezia Terme in the Catanzaro province of southern Italy. The company has set ambitious goals to design stronger and lighter semitrailers that will carry larger payloads while saving fuel and reducing CO2 emissions at the same time. “By lowering fuel consumption and CO2 emissions per ton kilometer we are contributing to a more sustainable world. 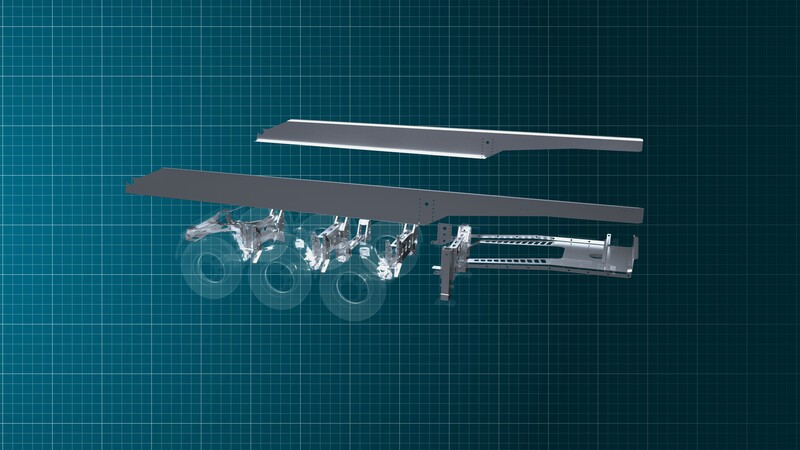 To successfully develop this lightweight trailer, the entire company has been involved – design engineers, production, management and purchasers. The Stratosphere trailers make use of all the benefits obtainable from SSAB’s high-strength steel grades Hardox® 500 Tuf and Strenx® 960. Naturally we are also in the process of implementing stronger and lighter design solutions for our other trailer series,” says Gregorio Mantella, Plant Director at Mantella S.r.l. Stratosphere trailers from Mantella have tipper bodies made of Hardox 500 Tuf wear plate. This new Hardox grade delivers longer wear life while having the same toughness as the previously used Hardox 450 grade. Thanks to the higher wear resistance of Hardox 500 Tuf, Mantella could reduce plate thickness by 1 mm (0.039”). This saves on average 365 kg (805 lbs.) of body weight. Reducing the thickness is possible thanks to the increased hardness in combination with the high toughness and dent resistance that comes with Hardox 500 Tuf. Even after many years of use, the steel will be thick enough as not to compromise the integrity of the body. 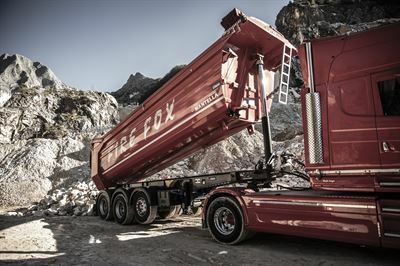 Hardox 500 Tuf combines the best properties from the Hardox 450 and Hardox 500 wear steel grades. It has an unusually narrow hardness window of 475-505 HBW. The relative wear life for Hardox 500® Tuf can be 30-50% longer compared with Hardox 450. 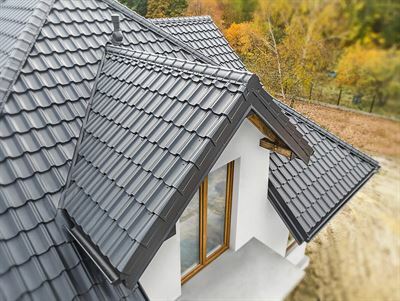 The high toughness gives excellent resistance against dents and cracks when the steel is hit by sharp and heavy objects. Hardox 500 Tuf has a guaranteed impact toughness of 27 J at -20°C (20 ft-lb at ‑4°F) and, for 20 mm (0.79”) plate, a typical value of 45 J at -40°C (20ft-lb at at ‑4°F). 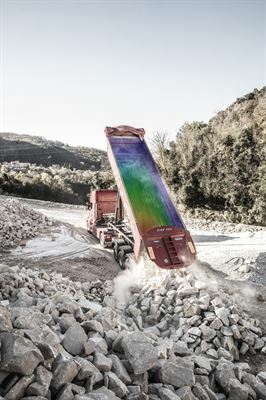 When using a thinner material, the trailer tipper body has to be designed in a way that ensures the stiffness and overall stability of the body. When raising a fully loaded body with a front mounted hydraulic cylinder, the body experiences high stresses. If it’s not designed correctly it could result in a sudden buckling of the sides. 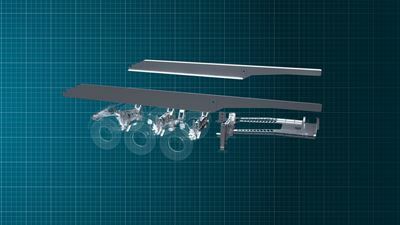 Tipper trailers typically operate off-road under extremely demanding conditions. They are subjected to a variety of severe load cases that are difficult to predict. 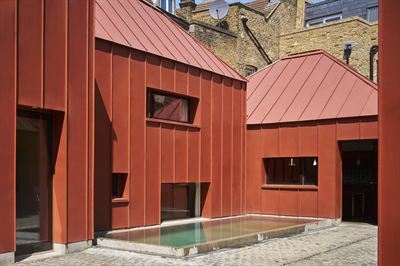 Fatigue usually sets the design limits. Mantella has invested a great deal of development work in weld technology and the placement of welds to optimize fatigue strength. By eliminating the welded I-beams and by leaving the flanges untouched by welds, fatigue strength of the chassis is greatly increased. The new trailer chassis in the Stratosphere series weighs in on par with aluminium, and has all the durability, fatigue strength and production advantages of steel. The Z-beams take about 50% less time to produce compared to welded I-beams. In addition, lateral stiffness is increased by 10% and torsional stiffness by 12%. By upgrading to Strenx 960 steel, Mantella not only offers its customers a chassis that is 145 kg (320 lbs.) lighter. It also has superior mechanical properties and improved road handling.